Look Iceland is a booking office and reseller of tours and service. We partner with tour providers in Iceland. Look Iceland does not yet operate any tours or provide direct car rental. Our partners have each their own cancellation policy listed on the page for each tour. You will need to agree on these cancellation policies when you book through our booking system before you carry on with your booking and we urge you to read through them before you carry on. You will also find the cancellation policy on the tickets you receive once payment has been finalized. Look Iceland does not charge individuals that book and purchase services on the website any fee. Therefore, Look Iceland is not liable for accidents, injuries, delays, expanses, losses or damages due to inaction or action on part of the operator or guide. 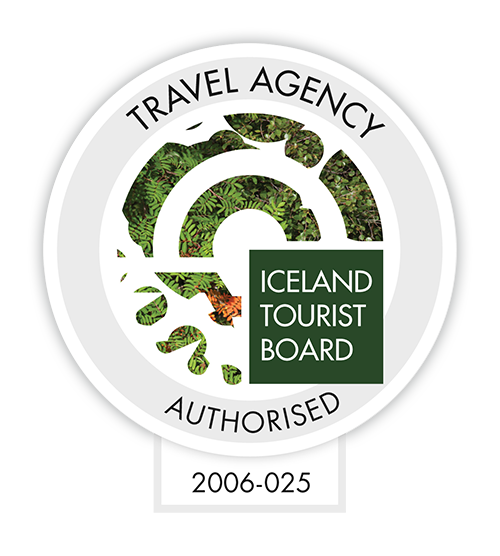 Products, tours and services that Look Iceland offers on it’s website come directly from tour operators. Tour operators can change prices, dates, requirements etc. Look Iceland is not responsible for the information about tours that is sold on Look Iceland‘s website. All prices are per person, unless otherwise specified. Prices can change until a booking is confirmed. Unless otherwise specified, prices do not include any local taxes or use-fees, including foreign departure, security, port charges, park fees, customs, immigration, agricultural, passenger-facility charges or international transportation tax. Neither do prices include tips, insurance etc. By using the Look Iceland website you agree to be legally bound by these terms, which shall take effect immediately. Look Iceland may change these Terms & Conditions at any time by posting changes online. Please review this page regularly to ensure you are aware of these changes, if any. Depending on the tour, the general rule is that if you cancel within 24-48 hours before the operation of the tour, you are not eligible for a refund. Refunds will only be issued to the card used to purchase the tour. Cancellation rules maight be diffrent between operators. Cancellation rules from the owner of the tours apply. There is no fee charged for helping you change or rearrange your booking for all types of tours and packages. However, costs can change accordingly with your new details. In that case we will either notify you about the increased costs or refund you the difference. Please note that changing the number of people in a booking to a smaller number is considered cancellation for the change in number of passengers. Please also note that we might not be able to fulfil your changed requirements due to lack of availability. Cancellations can be made although cancellation fees may be accounted for based on cancellation policies set out by each individual supplier. Cancellation made by suppliers due to weather conditions or other circumstances will result in a full refund or voucher for another trip provided by the supplier. Should our partners cancel a tour due to bad weather conditions you will get a full refund for the tour. Keep in mind that the tour operator in question will decide when to cancel a tour due to the weather. Should you decide by yourself to cancel the tour due to weather or any other reason, but not the operator, full refund is not available. This is also applicable for no-show. Please refer to the terms and conditions of your tour provider. All Cancellations / Refund Requests must be made through email to aktravel@aktravel.is with the email subject: Cancellation / Refund Request – “Order number”. Look Iceland does not provide travel insurance. Look Iceland does not vouch for any comments made on posts on this site and cannot ensure that these comments are accurate. We review all comments so they are not offensive, indecent or inappropriate. Readers of Look Iceland can report indecent content and we will review that and make a decision to keep it or remove it from the site. You therefore access and use the site at your own risk. We may use your content in a number of different ways, including displaying it on the site, reformatting it, incorporating it into advertisements and other works, creating derivative works from it, promoting it, distributing it, and allowing others to do the same in connection with their own websites and media platforms. As such, you hereby irrevocably grant us permission to use your content for any purpose. You alone are responsible for your content. You assume all risks associated with your content, including anyone’s reliance on its accuracy, completeness or usefulness, or any disclosure by you of information in your Content that makes you personally identifiable. You represent that you own, or have the necessary permissions to use, and authorize the use of, your content as described herein. You may not imply that your content is in any way sponsored or endorsed by Look Iceland. Look Iceland may display advertisements and other information adjacent to or included with your content on the site or other media. You are not entitled to any compensation for such advertisements. The manner, mode and extent of such advertising are subject to change without specific notice to you. The policy applies to the website Look Iceland – www.lookiceland.com and other sites connected through Look Iceland. Look Iceland may collect and use users personal information to improve customer service, process payments, send periodic emails, respond to inquiries, questions and/or other requests etc.